If I had to pick a favorite trend right now, it would hands down be florals. I love florals. Floral dresses. Floral shoes. I even just bought a floral accent chair for my new apartment. I can’t. Get. Enough. 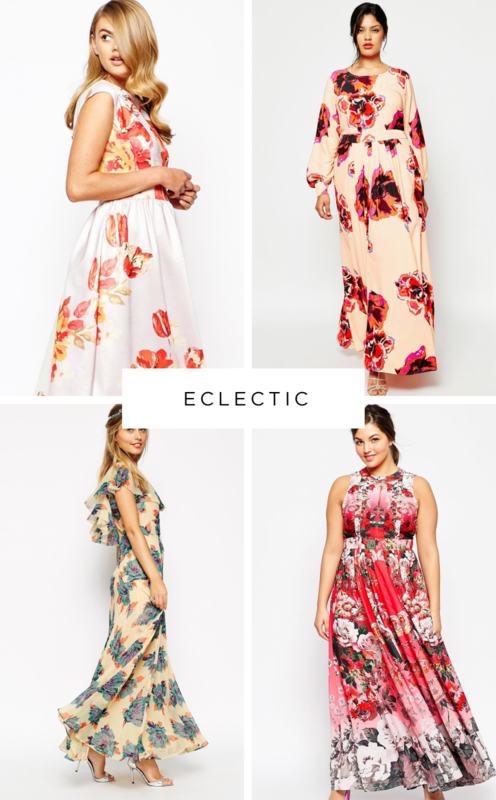 With so many floral fashions available in store right now (check out some of our favorites here), why not consider a floral dress for your bridesmaids, too? 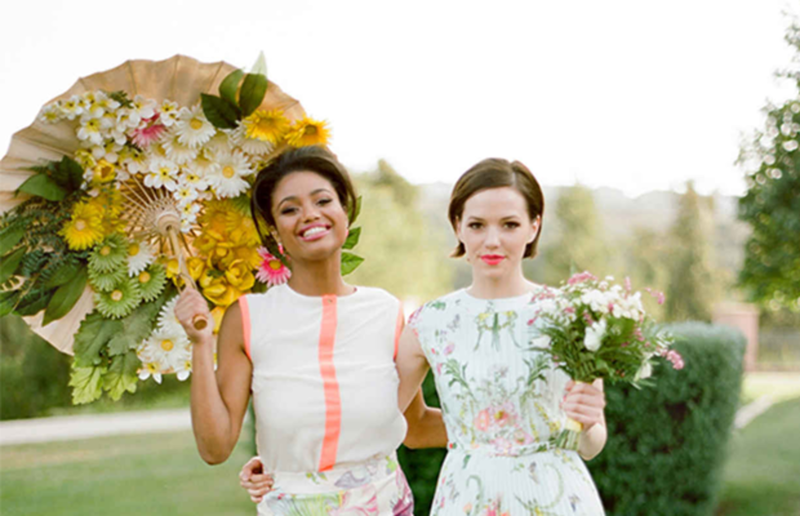 Incorporating patterns, such as a floral, into your bridal party can add extra color and make photos more interesting. Plus, you can mix and match, put your MOH in a solid, or vice versa. 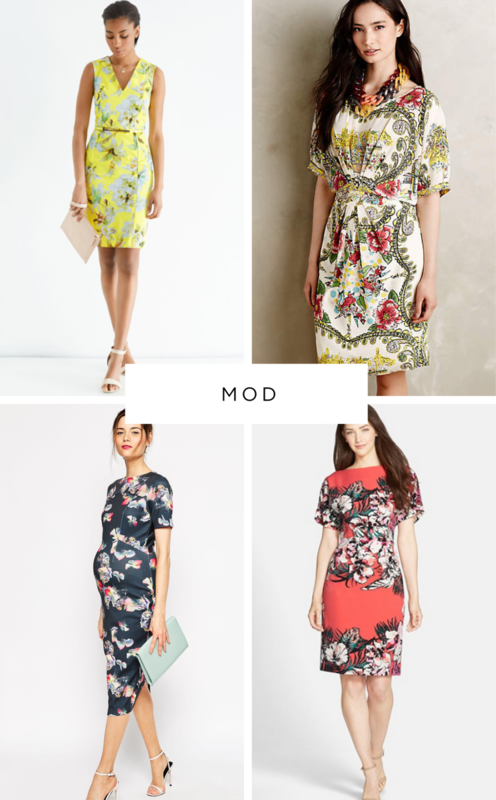 I’m definitely considering floral bridesmaid dresses for my own upcoming nuptials this fall. 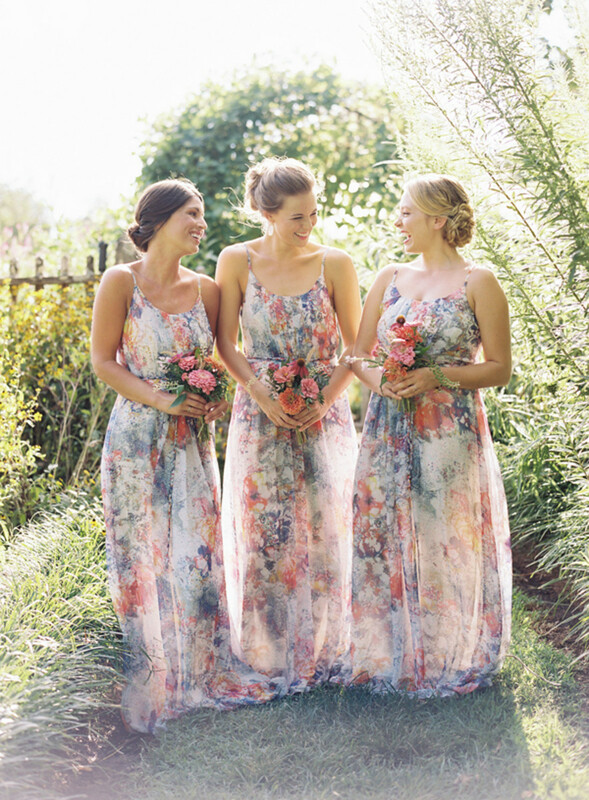 Check out the beautiful bridesmaids below to see how they made the trend bloom (literally!). 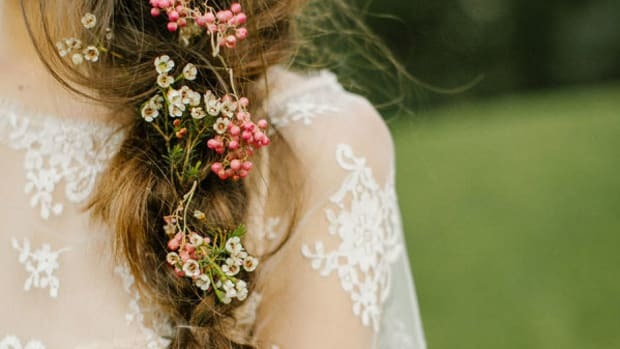 A woman who can pull off a boho look like this for her wedding is a hero in my book. 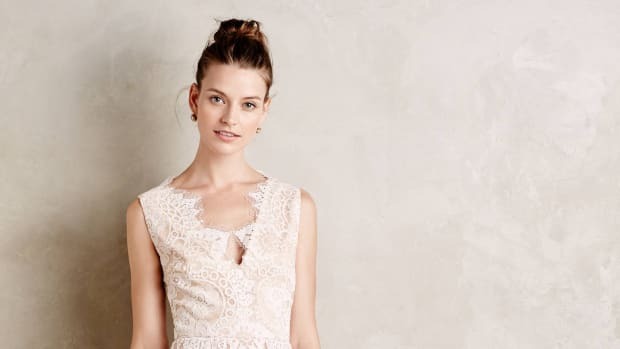 In that printed BHLDN wedding gown, she already looks like the coolest girl in town. But seeing her playful girlfriends in a variety of floral dresses makes me feel like I want to be friends with this whole group. 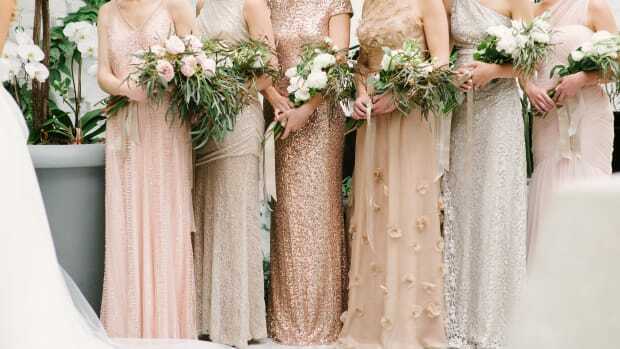 The best part about these bridesmaid dresses? I bet the ladies in them will actually wear them again. 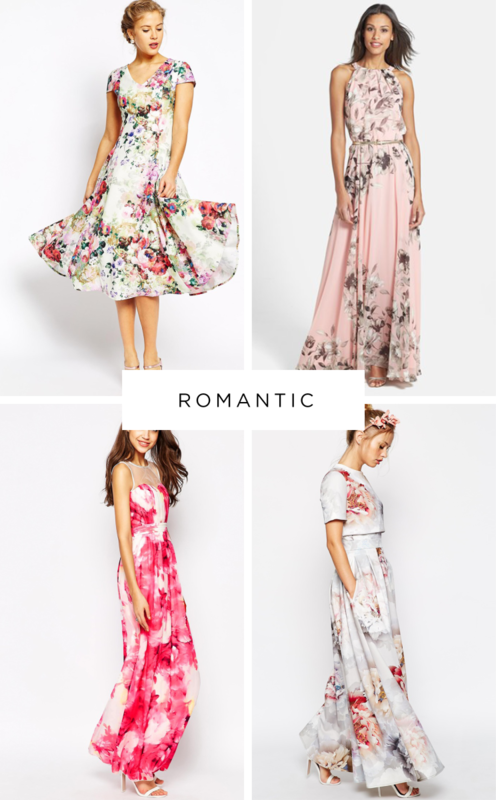 Any outdoor garden party needs some floral frocks, but long chiffon bridesmaid gowns with marbleized flower motifs take a summer wedding to another level. 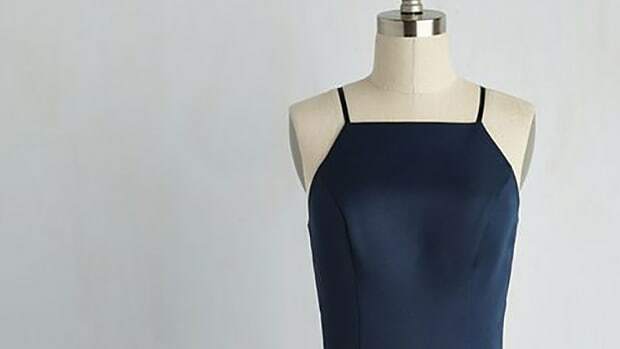 I love how this simple and slight empire silhouette with thin straps and a higher neckline works on a variety of body types. Plus, it coordinates perfectly with the bouquet. 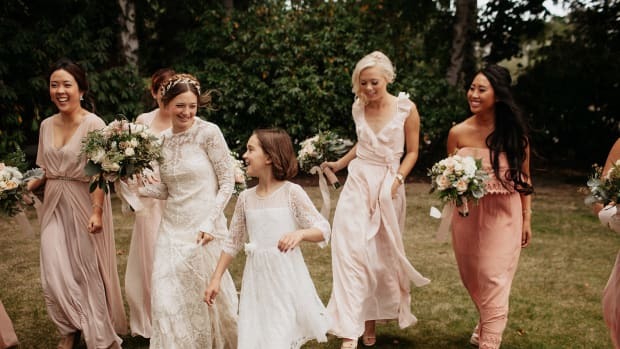 From the neon lips and accessories to the short floral-print dresses, this inspired bridal party couldn’t get more hip. 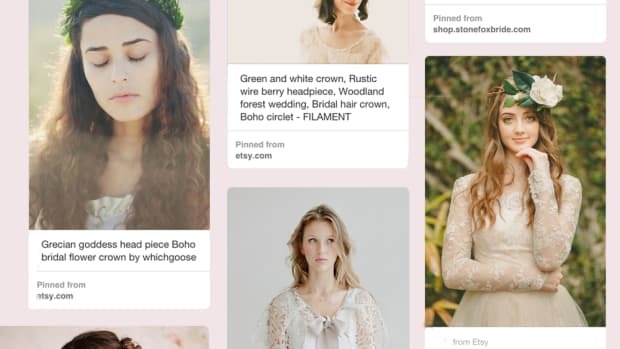 Picking a handful of cute dress options for your bridesmaids to choose from can make for some incredibly stylish pics, and your girls will appreciate the flexibility. Tip: If you don’t order your bridesmaid dresses from a designer who specializes in weddings, make sure your girls all get their dresses at the same time. You won’t be able to guarantee additional sizes or shipments from department stores such as Bloomingdale’s or Nordstrom. This process tends to work best when you’re only working with a few bridesmaids rather than, say, fifteen. 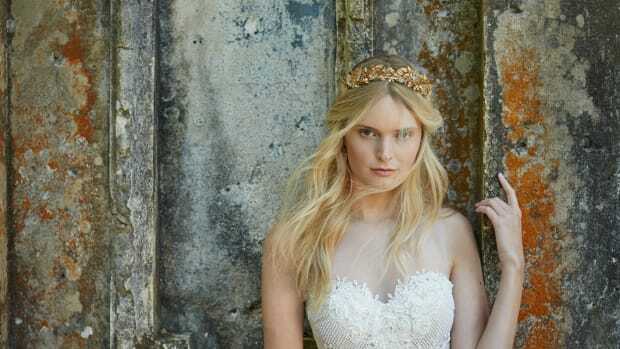 Heather Hall is the former associate fashion editor for The Knot bridal magazine.